Tararua District Council has identified particular crops which it thinks will be viable for the the area. This workshop will introduce the project and allow for questions. 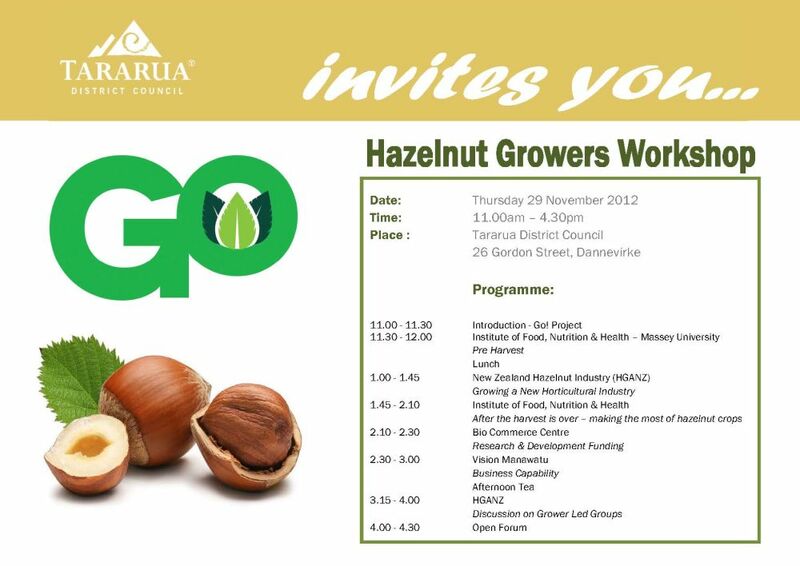 Murray Redpath, Natonal Tree Crops President and hazelnut expert is making a presentation. This is an open invitation from Tararua District Council to NZTCA members, particulalrly those in the Tararua Disitrict to attend this workshop. If you are interested, just turn up.